Cinderella glass slippers: Could you walk or dance comfortably? It is delightful to have my master’s degree in mechanical engineering put to use in resolving age-old engineering problems. One can never know the exact shape or size of the slippers worn by Cinderella in the Disney film, but one can hazard a guess that they must have looked something like this. Now, let’s talk about failure—no, not about Cinderella’s failure to keep her shoes on her feet, but about mechanical failure. Whenever we design something that needs to bear force, we test for various possible modes of failure and try to ensure that our object is strong against all of them. Now, one possible way the slippers could break is by yielding to the compressive stress arising due to Cinderella’s weight. But will that happen? We can assume that Cinderella weighed about 50 kgs (110 pounds). Let’s assume this weight to be applied uniformly across the shoe. Note that the toe region of a heeled shoe bears almost thrice as much force as the heel region, but it won’t matter for our purposes. Using a rough estimate of her foot size, her foot area comes out to be about A = 0.015m2. If 50 kgs of weight were to be applied uniformly across this area, the compressive stress developed in the material would be σ = F/A = (mg)/A ≈ 33 kPa. The yield strength σY of ordinary glass for compressive stress is approximately 50 MPa, which is three orders of magnitude more than what Cinderella’s weight can produce, so we can safely conclude that any regular glass can sustain it. Since the stress is so low, we don’t even need to worry about the uneven loading on the shoe. So, is she safe now? Can she safely dance at the ball without fear of tiny shards of glass cutting her skin and ruining her dress? Not so soon, buddy! There’s another way her shoe could break, and this is due to the compressive stress due to the bending moment applied to her heel every time she walks. Now, I don’t want to be here all day, so I will make a few simplifying assumptions. Let her heel have a diameter Φ = 2 cm and have length l = 6 cm from the tip to the point where it joins the rest of the shoe. The heel can now be modeled as a simple cantilever beam of circular cross section. I will defer to this site for the actual calculation of the maximum bending stress. I will assume her stepping angle to be about 30 degrees, which means that only half of her weight (500sin30) would act in the normal direction to the heel (causing the bending). Plugging 250 N as the bending force and the rest of the figures in place, we get the maximum bending stress in the heel to be σmax = 19 MPa. Note that this is dangerously close to our critical stress of 50 MPa. Even if we make a few more allowances by making the heel thicker or the stepping angle smaller, we cannot let our little princess veer so dangerously close to disaster. In order for her to be safe enough, we would take a safety factor of at least two and also assume that the bending stress can go as high as 75 MPa. This means that her shoes need to be made of glass that has a yield strength of at least 150 MPa. Safety glass (thermal toughened glass) seems to be a good bet. It has a yield strength of about 200 MPa and a higher Young’s Modulus too, so I imagine Cinderella can use it safely without fear of it breaking just when she is shaking a leg with our awesome prince. Ideally, we would also want it mixed with something to make it less brittle, but I don’t want to make it too different from glass or the answer becomes meaningless. But what happens when she starts running out of the castle at midnight approaches? When Cinderella runs, I expect the impact force to be three to five times that of the regular walking force (this is somewhat supported by this paper). The shoes should be safe for these values. 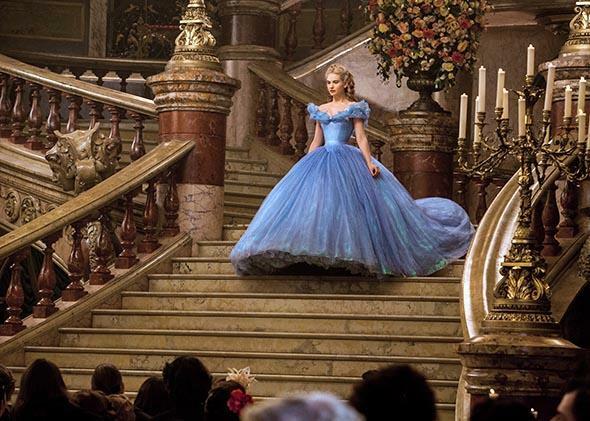 We must also take into consideration the fact that Cinderella’s dress would probably not let her take long strides. This would mean that her stepping angle would remain within safe limits, further ensuring that her shoes don’t break. Most importantly, she would be well-advised to develop a toe-first foot strike, which would totally solve the problem. This cannot be maintained for large distances but would certainly take Cinderella out of the danger zone. What if the friction between her shoes and the ground or floor is so low that she slips? Well, we can assume that the flooring is either made of stone or is carpeted. The coefficient of friction for glass on stone is about 0.42, which is not very high, but it is high enough for her to not slip. I couldn’t get a value for the coefficient for glass on carpet, but I imagine it to be similar. Cinderella: What makes Cinderella’s story so powerful? Materials Science and Engineering: Is any surface perfectly flat in nature? Cinderella: Why did Cinderella’s slippers not disappear?